Sanisera Archaeology Institute. 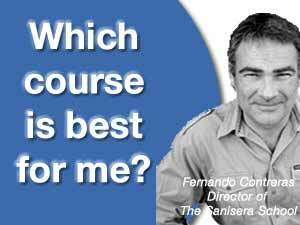 Which course is best for me? Home > Courses > Which course is best for me? The Sanisera Field School offers more than 20 international courses about Archaeology and Anthropology, which are given in 6 different countries (Spàin, Italy, France, UK, Germany and Jordan). The course prices vary depending on the modality and dates that you choose. We can advise you without any obligation. We will recommend the best options according to your preferences and academic profile. Also, we will find the best price so that you can afford staying with us for a longer period of time and sign up for several courses. In this way, you can get the most of your stay abroad. We will contact you in less than 48 hours.